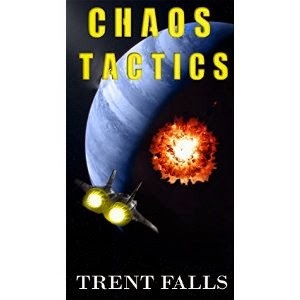 Book 1 in the Reckless Chronicles series "Chaos Tactics" (by Trent Falls) is a sci-fi adventure story that follows one man's race to save Earth. The protagonist, John Carn, is a retired sergeant in the Earth Expeditionary Force Marine Corps, who is begrudgingly pulled into a mission to save Earth. There are a lot of sci-fi elements in the book, from spaceships to futuristic weaponry, but the sci-fi elements are not overbearing or heavy in long-winded lore. There's a lot of action and adventure in the story from gun battles to high speed space travel. If you're a fan of approachable sci-fi with lots of action, you'll enjoy "Chaos Tactics."